Donald Trump is scheduled to give the president’s annual State of the Union address tonight, a week after it was initially scheduled. The speech is given to a joint session of Congress, and House Speaker Nancy Pelosi declined to invite the president to the chamber under her control while the government was shut down, delaying the event. Actually, Trump could have given his address last week, at another venue. The Constitution merely requires that the president update Congress “from time to time.” From the late 1800s to the early 1900s presidents generally submitted their address as a letter that was read aloud by a clerk. But since the advent of radio, presidents have seen this as a chance to address the American people directly. Trump, mired in a fierce battle with Congress over his desire for a border wall, has said tonight’s speech will be a call for unity, but many analysts expect immigration to remain a primary topic. It won’t be the only one he covers, however. He could declare a national emergency and order that the wall be built, as he has threatened. Congress’ reaction and possible legal challenges, including injunction requests, could test the president’s ability to achieve his goals in that manner. 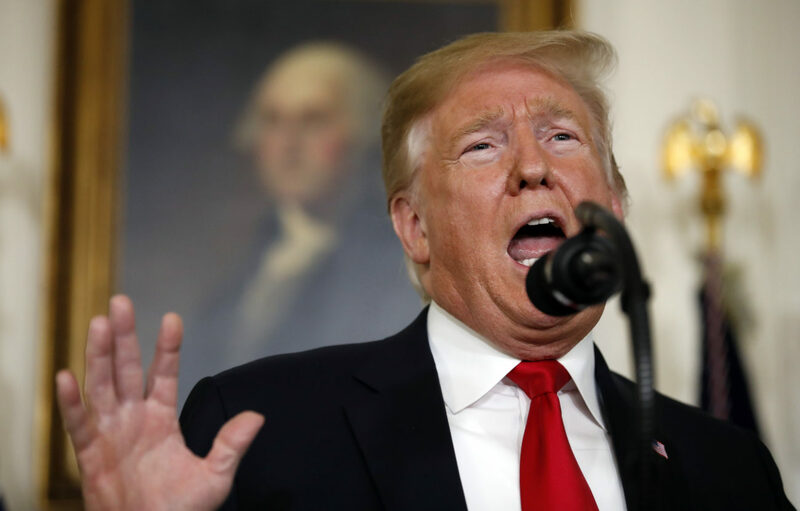 Congressional Democrats and even some Republicans have expressed doubts about the need for a wall that fits Trump’s specifications or the funding it would require. So perhaps we should pay attention to other items mentioned in his speech, and the Democratic Party’s response that follows it, since they might have a better chance of becoming reality. Many of those topics will affect the Rio Grande Valley directly, beginning with any comments he makes over international trade. Expect him to praise himself over the renegotiated and renamed U.S.-Mexico-Canada Agreement, and address plans to rework trade relations with other countries. Because our economy is global in nature, even those relationships can affect South Texas, Mexico and the maquiladora industry that feeds both. Raw materials and parts come from all over the world, so any trade issues, especially the tariffs that Trump favors, can affect the supply and price of finished goods, which in turn can reduce sales and lead to layoffs at local maquilas. With presidential primaries just a year away and murmurs of challenges within his own party, however, Trump might use the speech to become more conciliatory, and resurrect campaign issues that proved popular but remain unfulfilled. Perhaps he will offer details on his plans to improve national infrastructure and public works, or provide specific ideas on his promised replacement for the Affordable Care Act., which provided health insurance to tens of thousands of residents of the Valley, which has one of the highest levels of uninsured residents in the country. Will he offer more information regarding his goal of reducing drug prices, which lead many local residents — even many who have insurance — to seek health care in Mexico? Tonight’s speech could give us a chance to see whether Trump remains obstinate in fighting for his goals or shows a pragmatic appreciation for the need to seek positive reactions from the public as he ramps up his efforts for re-election.